Budget Sailing Turkey is member of the Turkish Sailing Federation (TYF) and recognised by “World Sailing” (the former ISAF/International Sailing Federation). 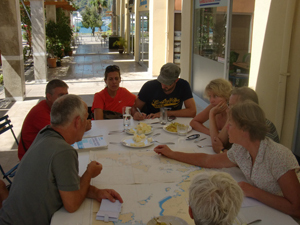 We offer practical courses for boat-and sail handling, such as manoeuvring, berthing, anchoring, steering the yacht, sail trimming, rope work, rules of the road, safety and precautions, shortly all the basics you need to get familiarised with a standard sailing yacht. You can either do this on a one-to-one base (daily or weekly) or with your own group of friends or family on the yacht type you chartered.